Create a slideshow from your digital photos and videos on Windows and apply effects such as fade, crossfade, zoom and much more. Burn your slideshow to DVD for playback on TV, or as a standalone video file for enjoying on web and portable devices. Add a soundtrack, narrative or text captions to further enhance your memories. Supported formats include avi, mpeg, wmv, divX, mpeg, bmp, gif, jpg, jif, jiff, jpeg and many more plus audio formats. Amara Flash Photo Slide show software creates animated slideshows instantly. Amara Slideshow builder software creates animated slideshows. 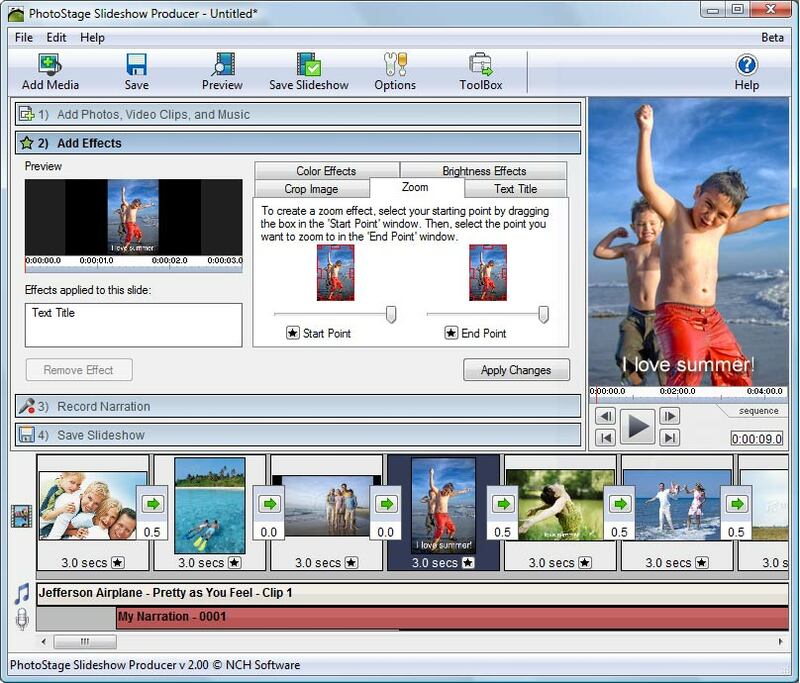 Qweas is providing links to PhotoStage Slideshow Software 2.13 as a courtesy, and makes no representations regarding PhotoStage Slideshow Software or any other applications or any information related thereto. Any questions, complaints or claims regarding this application PhotoStage Slideshow Software 2.13 must be directed to the appropriate software vendor. You may click the publisher link of PhotoStage Slideshow Software on the top of this page to get more details about the vendor.